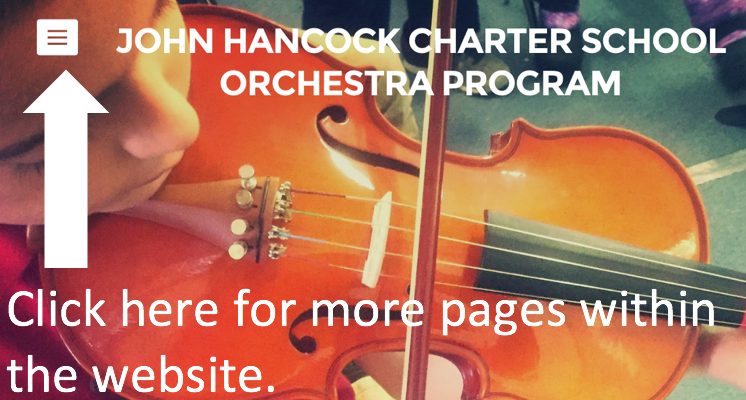 Be sure to check out the Orchestra Handbook and Signature Page on the "Orchestra Information" tab. (See instructions below.) Please email these back to Ms. Looney or turn them in the first week of school. The Winter Orchestra Concert is Thursday, January 11, 2018 at 7:00 PM! Welcome to the 2017 – 2018 school year! I am looking forward to a great year of learning and music-making. New students, I want to get to know each of you and continuing students, welcome back! Parents, I encourage you to stop by the orchestra room and say hello! Ms. Looney is a 2015 National Rural Teacher of the Year Finalist, 2015 AEF Teacher of the Year Ambassador for Excellence, and the 2014 ARSA Teacher of the Year. She loves teaching at JHCS and is enjoying building the program to aspiring heights. 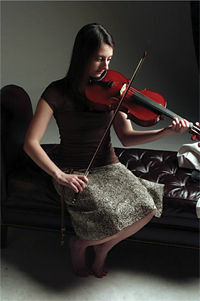 She also performs regularly with the Orchestra at Temple Square. Orchestra students will begin attending orchestra the second day of school. Students who own or rent their instruments will need to bring them starting on their first orchestra class of the year. Back to School Night: Thursday, August 10th from 6:00 - 8:00 PM. Did You Know That Playing An Instrument Makes You Smarter?